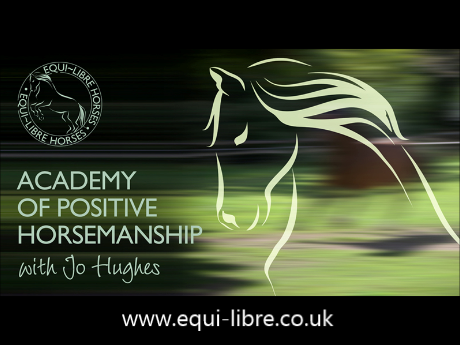 For horse owners, non-ridden handlers and riders who can't get to Jo for Live Learning in person, Equi-libre Horses offers a number of other options. Whether you live on the opposite side of the world or you simply feel more comfortable learning from the comfort of your living room with a glass of wine, our Online Learning options are for you. 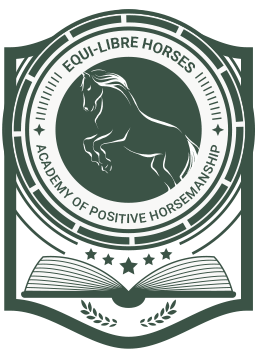 You might choose to become a Member of The Academy of Positive Horsemanship Club where you can access heavily discounted (or fully inclusive) rates on our home study courses, personalised 1-2-1 online coaching and in-depth webinars, live online practical training sessions, interactive Q&A's and access to a supportive community. Or perhaps you will instead prefer to dip in and out at your convenience by purchasing one or two of the courses or webinars which are available to the public. Create your own unique learning and support experience, reaching the exact same results through your online learning experience as you would if Jo was right there with you in real life. The Academy Club is an online membership site giving you direct access to Jo Hughes and her Associate Trainers along with detailed home study courses and personalised 1-2-1 online coaching, webinars, live online practical training, Q&A's and a supportive membership community. There are currently no Webinars available to purchase.